When I was growing up we always had lots of mushrooms growing in the fields and we used to love picking them in the summer holidays. 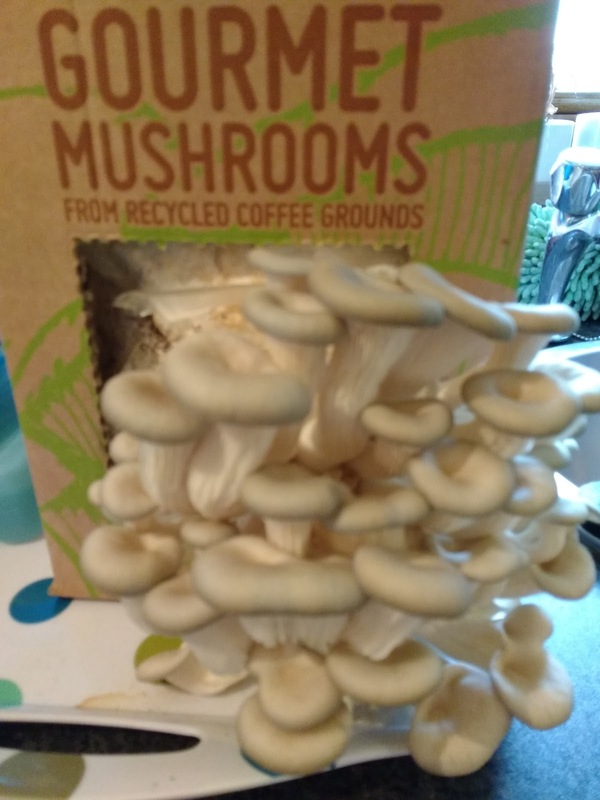 I rarely see them now which is a real shame but I do remember a couple of summers where we had a stall in front of the house and we sold mushrooms to people passing the farm. Mum said we if we could make enough money we could go to Blackpool Pleasure Beach so we made a big sign for the top of the drive so people knew about the mushrooms and waited for customers. 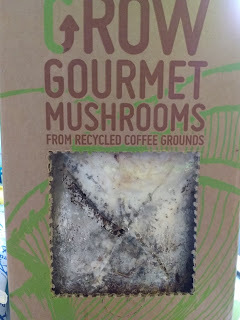 We were up early each morning picking mushrooms and most days we sold out. 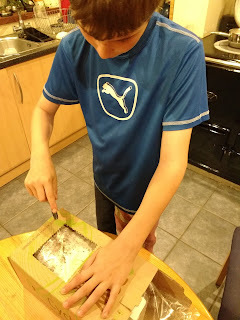 We made enough money for us all to go to Blackpool and there was even enough for fish and chips on the way home! 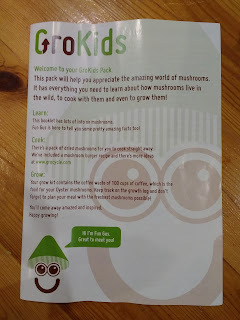 We did this for a couple of years and had a few trips to Blackpool Pleasure beach but the mushroom supply started dwindling and in the end we gave up. 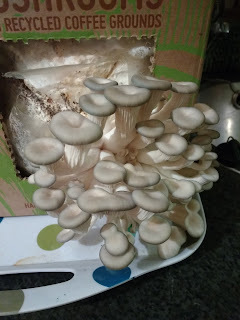 When I was asked if we would like to grow some oyster mushrooms I jumped at the chance, we love growing our own food and eating it and I liked the idea of growing mushrooms again. 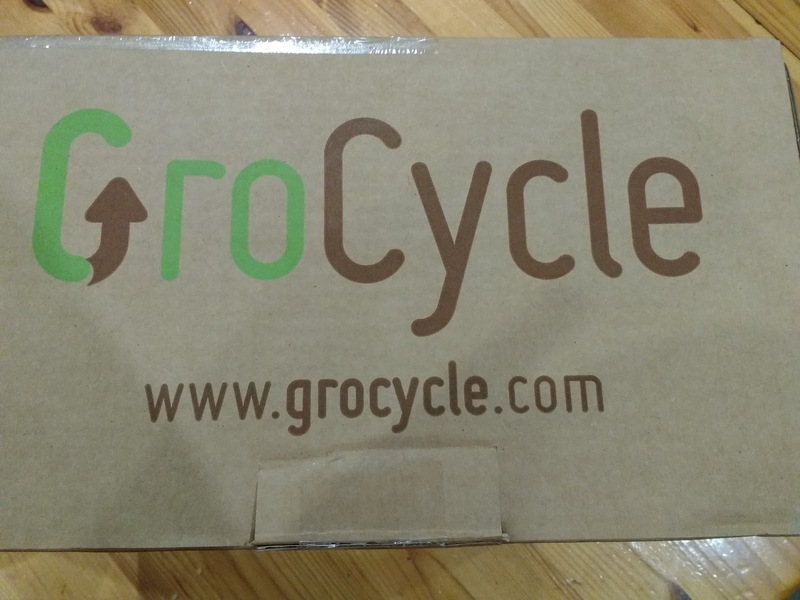 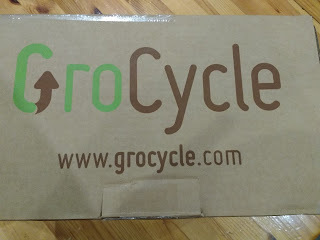 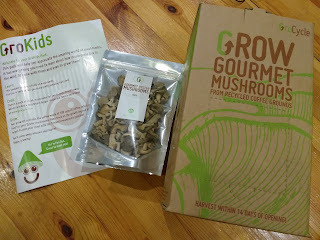 GroCycle very kindly sent us everything we needed which includes the mushroom growing kit as well as a great educational booklet for children and a pack of dried oyster mushrooms that you can eat whilst you are waiting for your own to grow! 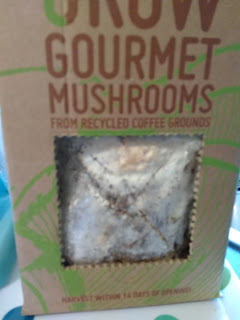 GroCycle is a project launched by Fungi Futures CIC, an innovative social enterprise based in Devon, UK. They have been growing Oyster mushrooms from waste coffee grounds since 2011, and are still hugely inspired by the scale of the opportunity. 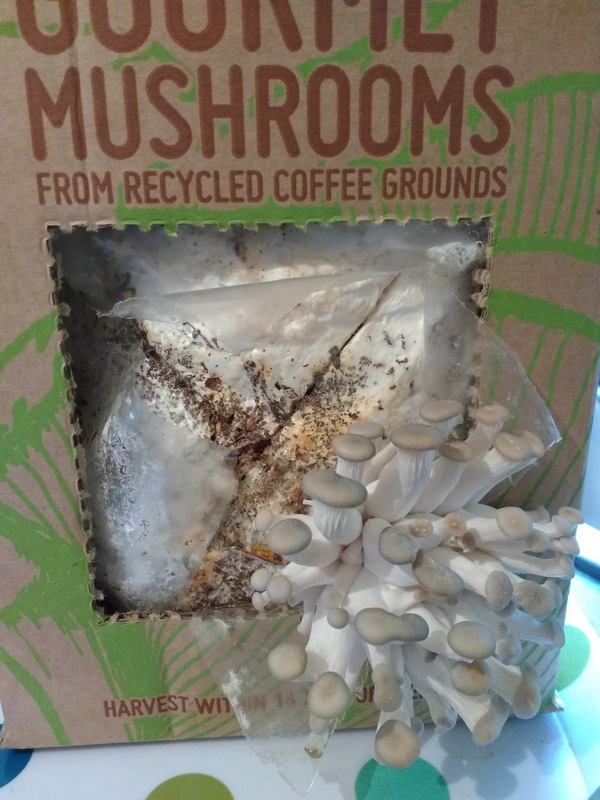 They have created the easy to use Mushroom Grow Kit to enable you to grow your own gourmet mushrooms at home from waste coffee grounds. 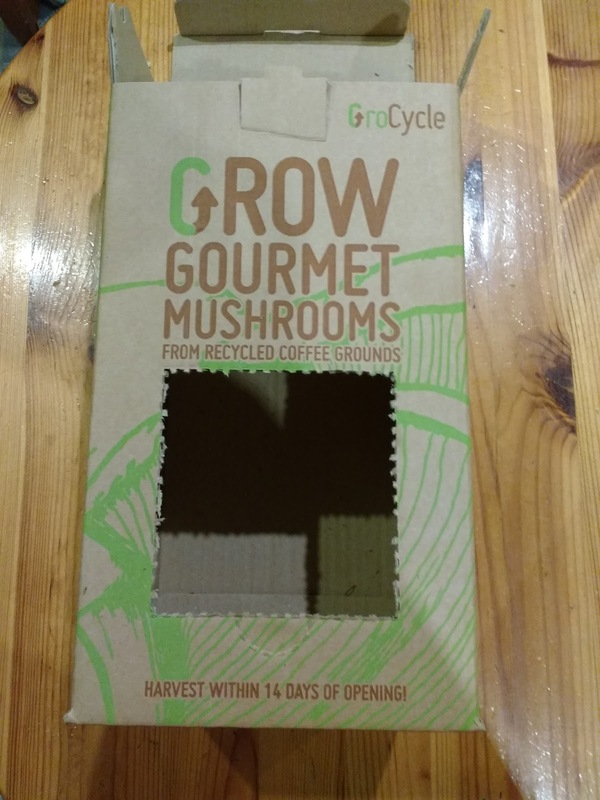 The kit contains grounds from 100 cups of coffee and this project aims to keep coffee waste out of landfill which sounds good to me. 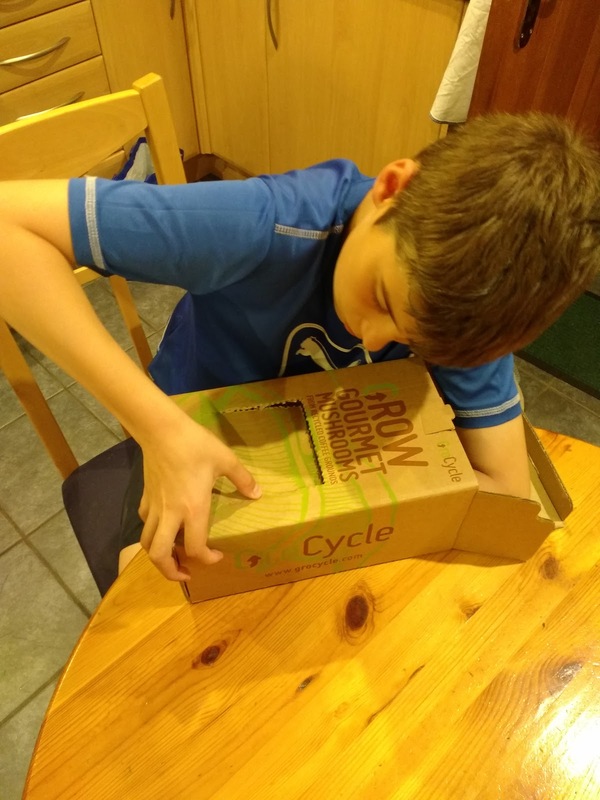 The kit is really easy to use and has very clear instructions, Luke couldn't wait to get started and soon pressed out the cardboard from the front of the box ready for the coffee grounds to go back in. Once he had made the hole in the box he put the coffee grounds back in so he could cut a cross in the bag in the right place. 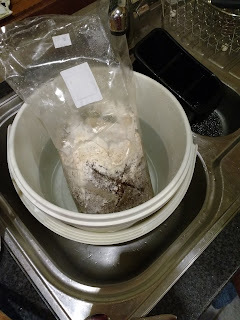 Once the bag was cut we submerged it in a bucket and used a pan to weigh it down. We left it overnight and then drained it and put it back in the box. 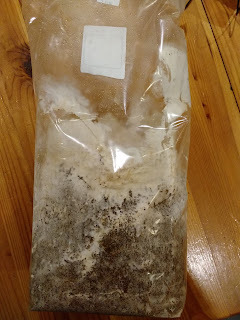 We sprayed it with water twice a day and after 2 days you could see that something was starting to happen. 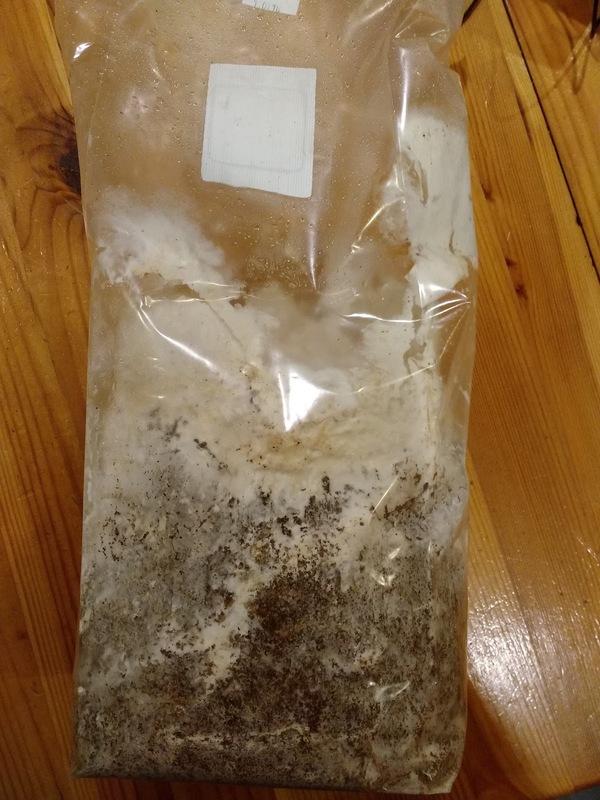 I was initially a little unsure how much water they needed so we gave them a few sprays of water morning and night and it must have been enough as they soon started to grow. 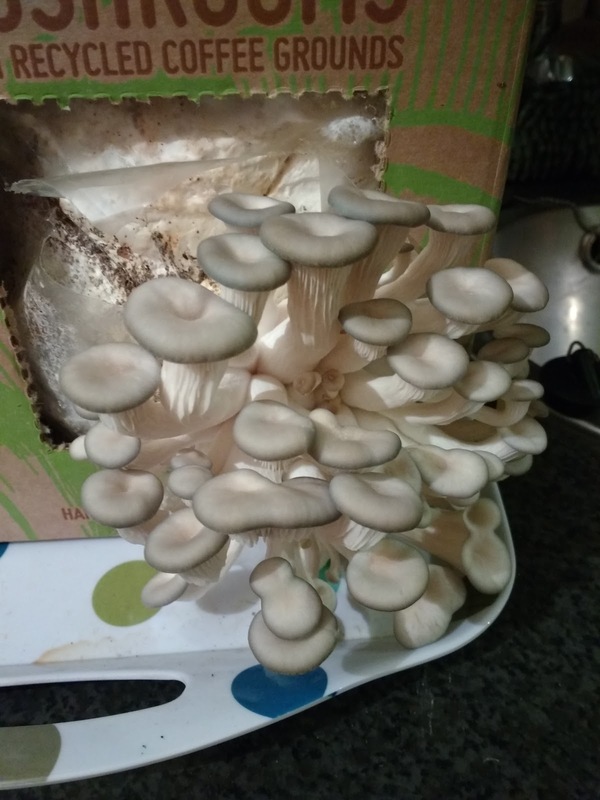 It really was amazing watching them grow, you could see a huge difference from morning to night. I used the mushrooms to make a mushroom soup which tasted lovely. Once you have harvested your mushrooms you leave the kit for 2 weeks then soak overnight and repeat the cycle 1-2 times. We harvested ours and were surprised to find mushrooms growing again after 10 days, we hadn't soaked the kit again so just started watering the mushrooms again and we have just harvested our second crop which will be used in a risotto tomorrow night. 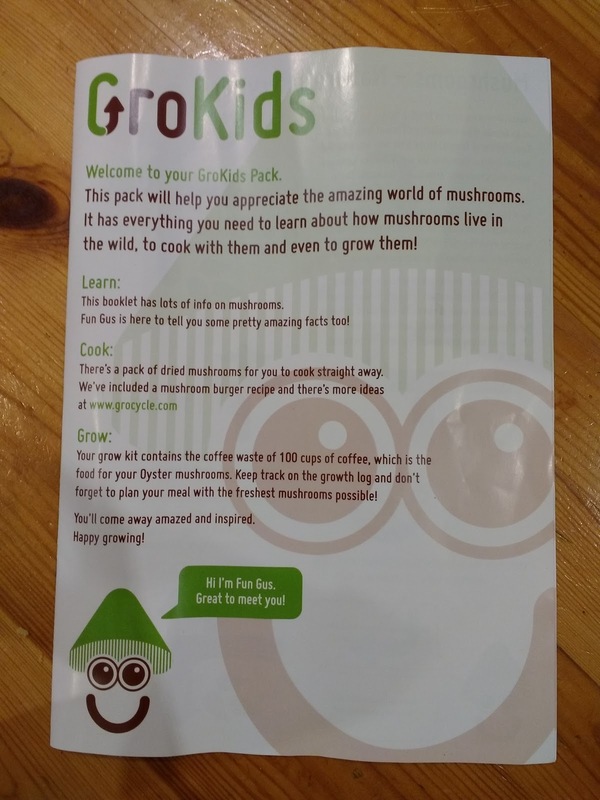 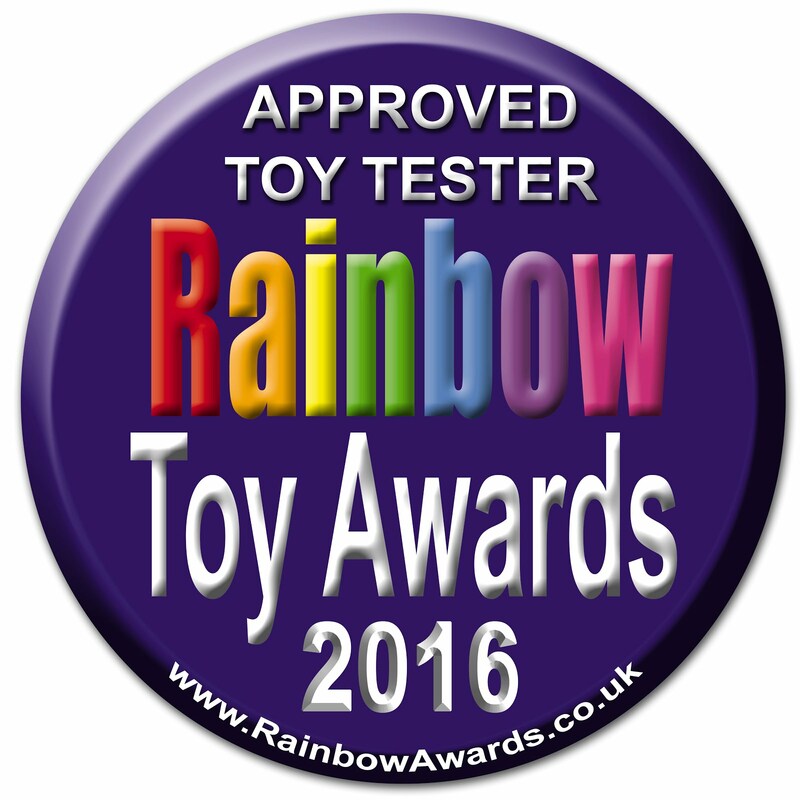 The mushroom kits are available from the 16th September from the Grocycle website here and cost £19 with free delivery. 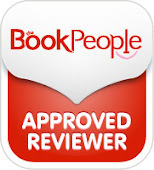 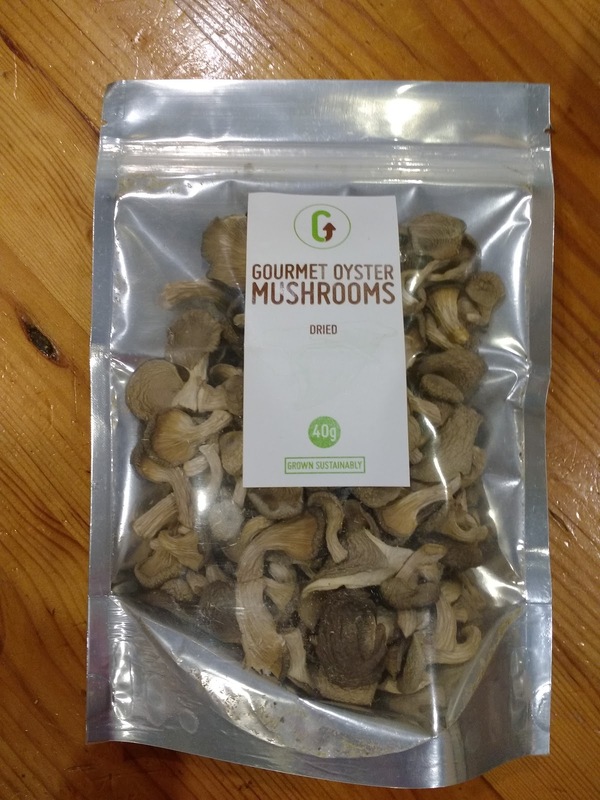 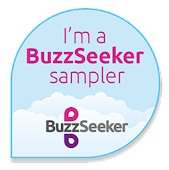 We received the Grocycle Grow your own oyster mushrooms kit for the purpose of this review. 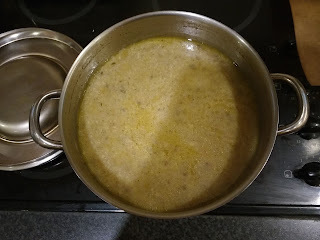 All opinions, words and photos, are my own.